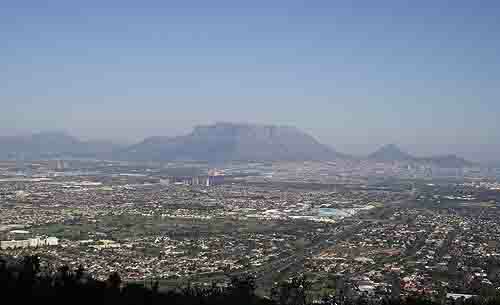 The Tygerberg Hills run north to south a couple of kilometres inland from Table bay. From Table Mountain looking eastwards they are the first line of hills you will see. 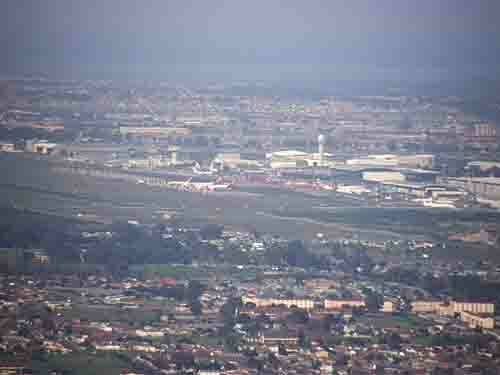 Most visitors to Cape Town when flying into the city fly down the western slopes of the Tygerberg Hills before landing at Cape Town's international airport. Tygerberg is a strange name as there are no tigers in Africa so one wonders where the name Tygerberg came from. There are a number of explanations as to how it was named. One is that way back when leopards still roamed the Cape a couple of centuries ago, visitors to Cape Town spotted them on the hills and mistook them for tigers and named the hills after the” tigers” they thought they had seen. 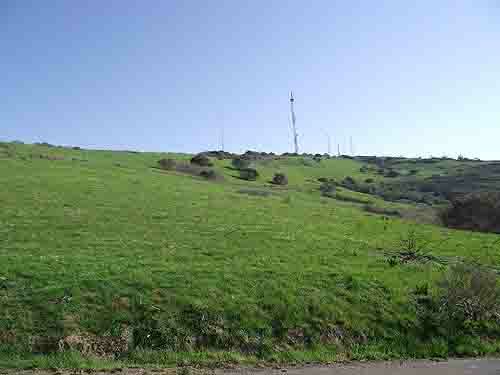 Another explanation is that the hills have a mottled appearance which reminds one of the coats of the leopards which once roamed the area. Either way it does not really matter as the hills are now called the Tygerberg Hills and they have been preserved by establishing a nature reserve on the top of them. The nature reserve consists of 309 hectares of land which is covered by mainly the the critically endangered Swartland shale renosterveld or Rhino veld in the Cape and possibly in the world. Why is protecting this Rhino veld so important? The world consists of 6 floral kingdoms namely the Boreal or Northern Hemisphere (42% of land surface), Paleotropical or Africa/India (35%), Neotropical or South American (14%), Australian (8%), Patagonian or Antarctic (1%) and finally the Cape Floral Kingdom which consists of 0.4% of the land surface of the world. In the Western Cape this boils down to 90000 square kilometres of land which stretches from VanRhynsdorp a small town to the north of Cape Town on the west coast all along the South African coastline till Mossel Bay in the east. The Tygerberg Nature Reserve falls in the middle of this floral kingdom and is the only place that Renosterveld still grows. Our floral kingdom consists of three types of veld namely Fynbos, Strandveld and Renosterveld. The different veld species are distributed as follows. The Fynbos grows in the mountains, such as Table Mountain, the Strandveld (Beach veld) grows along the coast while the Renosterveld which is between the two, grows in the fertile soils along the Tygerberg which are rich in clay and where there is a winter rainfall. Unfortunately for the Renosterveld vines require the same type of soil as the Renosterveld so over the years the wine farms have removed the Renosterveld and replaced it with vines to such an extent that the Renosterveld is one of the most threatened vegetation types in the world. So what does the Tygerberg Nature Reserve offer the visitor. Firstly there are the spectacular unhindered views of the Cape Peninsula where by just turning your head you can see Cape Point to the south, Table Mountain to the west and Robben island and Table Bay to the northwest. Looking eastwards one can see all the way to the Hottentots holland mountains and Stellenbosch and Cape Hangklip in the south. 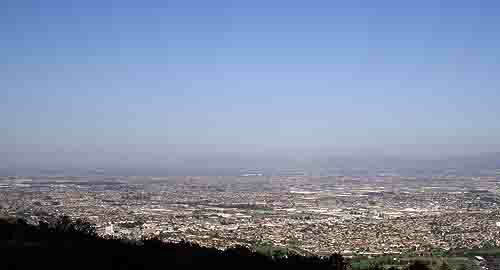 At your feet you have the northern suburbs of Cape Town and looking southwards you can see the southern suburbs and the Cape Town International airport in the distance. Other than the spectacular views the Tygerberg nature reserve offers some well-signposted hiking trails, local fauna and bird watching. 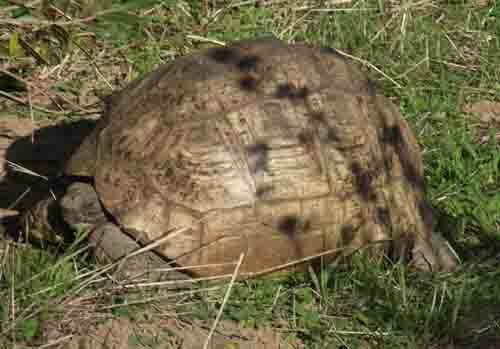 The trails have been given various names such as Tortoise, Golden Mole, Duiker, Bontebok, Wild Olive, Watsonia, Ukhetshe and Induli. As the City of Cape Town recognises three different languages namely English, Afrikaans and Xhosa two of the trails were given Xhosa names. The Ukhetshe (hawk) trail was named because of the many birds of prey found in the Tygerberg Nature Reserve. They include Jackal Buzzards, Peregrine Falcons, Rock Kestrels and Blackshouldered Kites. The second trail named Induli (hill) starts at the Plattekloof entrance to the reserve and winds its way up to the picnic area and viewpoint on top of the hill. Being part of the Cape Floral kingdom the reserve boasts 562 species of flora, 23 of which are threatened with extinction. Eight of the plant species in the reserve are endemic to Cape Town while three of the eight are endemic to the Tygerberg hills only. The reserve also boasts 24 species of mammals, 137 bird species, 22 reptiles including snakes such as the dangerous Cape Cobra and the Puff Adder, 7 types of frog and numerous different types of butterfly identified within the reserve. The latest addition to the reserve is the reintroduction of the Bontebok which previously occurred naturally in the area. During the 1800's hunters decimated their numbers that by the 1940 's only 36 animals remained. Thankfully due to a successful breeding program there are today more than 2000 Bontebok in existence in South Africa with the Tygerberg Reserve boasting eleven of them. Near the start of the Induli trail up the west side of the Tygerberg is the Plattekloof Dam which is currently being restored to wetland status with the addition of indigenous water plants and fish. This initiative will improve water quality and provide food, shelter and nesting material for animals. A wheelchair trail has recently been laid out by the Friends of Tygerberg with lookout points and parking facilities. Able-bodied visitors have to walk up a steep hill to reach the trail, but disabled visitors can drive up and two parking bays are provided at the top. The trail starts from the forested picnic area at the top of the hill and is fairly rough and rugged. It is suited to the more able bodied wheelchair users. The reserve also has the Kristo Pienaar Environmental Education and Resource centre, a library and herbarium where geography, town planning and ecology lessons are offered. Booking for these lessons is essential. To visit this reserve one must drive along the N1 northwards towards Paarl and at exit 20 you turn left into Jip de Jager, turn left again into Kommisaris at the top of the hill, and then follow the signs to the Tygerberg Nature Reserve. The Reserve is open from 07h30 to 18h00 on weekdays and from 07h30 to 19h00 on weekends and public holidays. Entry costs R13 for adults, and R6.50 for children (aged 3-17) students and senior citizens. Entry is free for children under three. Winter entry times are Weekdays 7.30 -17.00 Weekends 7.30 - 18.00. 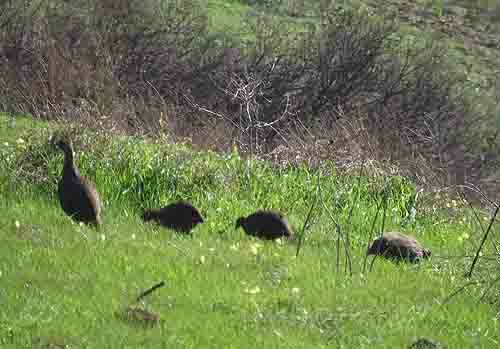 Want to enjoy a day out in nature pack a picnic basket and visit the Tygerberg Nature Reserve.